Survey for a new museum | The Dacorum Heritage Trust Ltd.
What would encourage you to visit a museum? What activities do you look for when planning a day out? 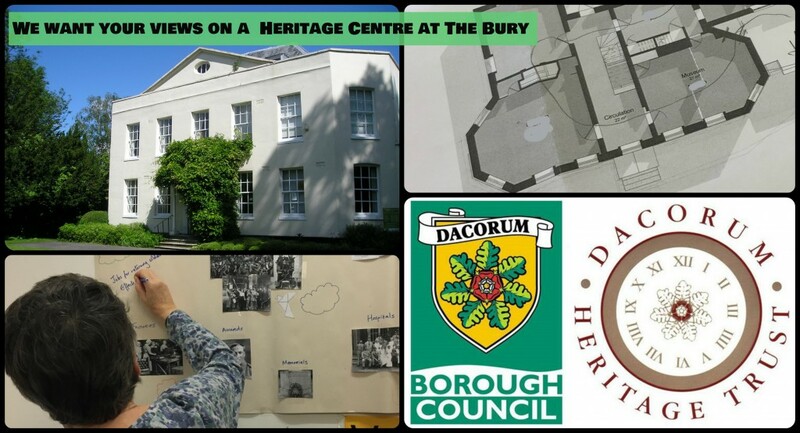 Dacorum Borough Council wants your views to help form its future plans for creating a museum and heritage centre at The Bury in Hemel Hempstead. The Bury, a Grade II listed building, was erected in about 1790 by an attorney who worked in the town. It was owned by many notable people from the borough before it was bought by Dacorum Borough Council in the 1940s and became home to the town’s Register Office before these services relocated to the Forum in 2016. The proposals are being developed in partnership with Dacorum Heritage Trust and museum associations from across the borough and will be submitted to the Heritage Lottery Fund for grant funding later this year. If successful, the Bury will be converted into the museum and heritage centre, where visitors will be able to learn stories from Dacorum’s past and enjoy new facilities including a café and family activities. The survey is open until Sunday 13 May.